For a class of 30. This easy-to-perform kit introduces students to the laboratory procedures and techniques for culturing anaerobic bacteria. Students observe and compare growth among anaerobic, facultative anaerobic, and aerobic bacteria in the absence or presence of free oxygen. For a class of 30. This easy-to-perform kit introduces students to the laboratory procedures and techniques for culturing anaerobic bacteria. Students observe and compare growth among anaerobic, facultative anaerobic, and aerobic bacteria in the absence or presence of free oxygen. Kit includes perishable materials. 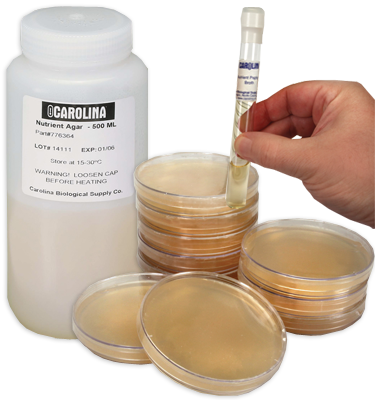 Note: Keep bacteria cultures at room temperature; do not incubate or refrigerate.